Caught in the midst of a raging controversy over his remarks against reservation while quashing the charge of sedition against Patidar Anamat Andolan Samiti (PAAS) convener Hardik Patel, Justice J B Pardiwala of the Gujarat High Court on Friday expunged the said remarks from his order, in an application moved by the state government seeking removal of the said controversial portion. Justice Pardiwala expunged paragraph number 62 from his order delivered in the case of Patel agitation leader Hardik Patel who had sought the quashing of sedition charge against him filed by the Ahmedabad police. Justice Pardiwala while quashing the charge of sedition against Hardik Patel had said, “If I am asked by anyone to name two things which have destroyed this country or rather has not allowed the country to progress in the right direction, then the same is reservation and corruption.” He had also remarked that it was very shameful for any citizen of this country to ask for reservation after 65 years of independence. “When our Constitution was framed, it was understood that the reservation would remain for a period of 10 years, but unfortunately, it has continued even after 65 years of independence. The parody of the situation is that India must be the only country wherein some of the citizens crave to be called backward,” the Judge had opined. The court had further added “The biggest threats, today, for the country is corruption. The countrymen should rise and fight against corruption at all levels, rather than shedding blood and indulging in violence for the reservation. The reservation has only played the role of an amoeboid monster sowing seeds of discord amongst the people. The importance of merit, in any society, cannot be understated”. 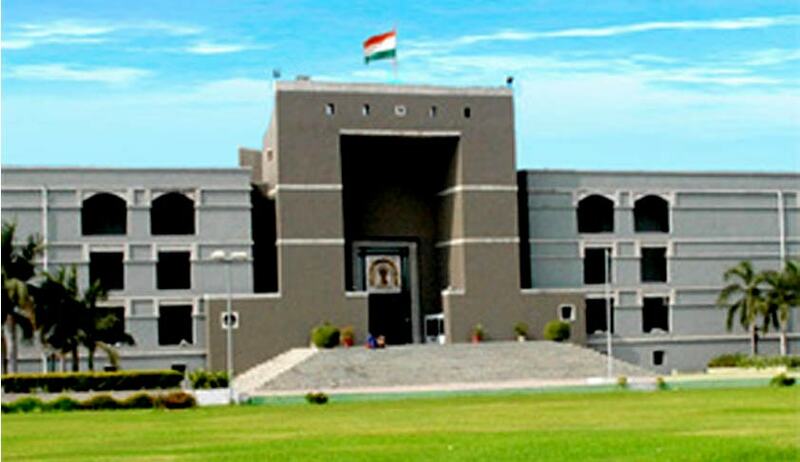 The state government had approached the Gujarat High Court requesting the judge to expunge his remarks against reservation saying that it has no relation with the case and that therefore, paragraph number 62 should be deleted from the order. The expunging of remarks from the order comes after 58 Rajya Sabha MPs moved a petition before the Chairman of the Rajya Sabha Hamid Ansari against Justice Pardiwala for his allegedly "unconstitutional" remarks against reservation. "It is distressing that Justice J B Pardiwala should be unaware of the constitutional provision with respect to the policy for the SCs and the STs," the notice given to Ansari said. The MPs said in the notice that a ten-year limit was prescribed for political reservations i.e. representation to SCs and STs in the union and state legislatures, and not the reservation in the areas of education and employment. The petition submitted by the 58 Rajya Sabha MPs said since the observations of the judge find place in judicial proceedings, "these are unconstitutional in nature and amount to behaviour misconduct towards the Constitution of India that forms the ground for an impeachment".